Puʻunēnē Sugar Mill. Photo by Wendy Osher. 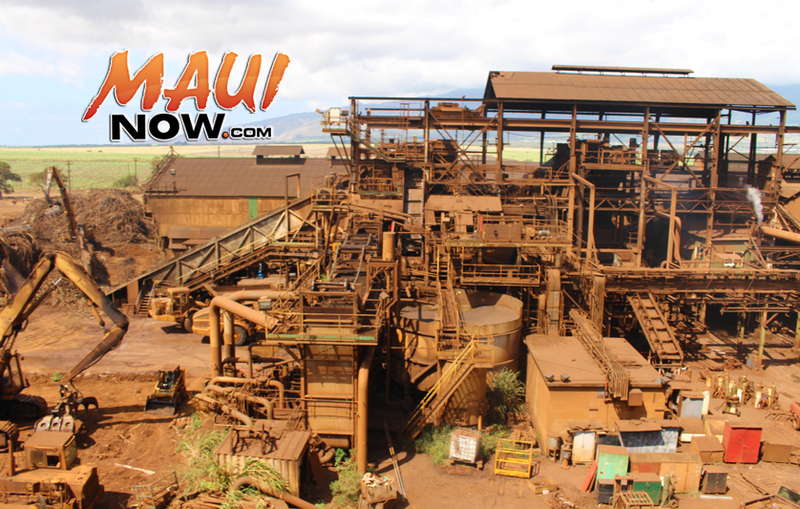 The Matson Foundation has gifted the A Hui Hou Fund with a $100,000 grant to augment widespread community support for displaced sugar workers on Maui. 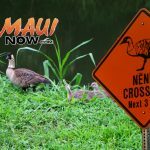 The A Hui Hou Fund, launched in April by a group of concerned citizens in partnership with Maui United Way, was created to provide emergency relief assistance to workers being laid off as a result of the closure of Hawaiian Commercial and Sugar Company. With the latest gift of $100,000 from the Matson Foundation, the fund has amassed close to $150,000 in donations to date. Funds will be used to assist former HC&S workers in need with rent, mortgage, utilities, education costs and other basic needs. 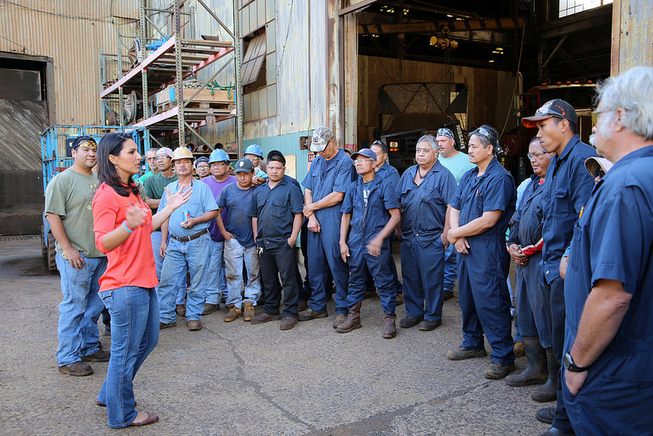 “We feel for the workers who are transitioning to new lives and know that the A Hui Hou Fund will put our contribution to the best use for these families,” added Buzz Fernandez, Matson’s district manager on Maui. The A Hui Hou Fund backstops the significant support Alexander & Baldwin is providing to its 675 former HC&S employees, which includes financial support as well as the services of four full time transition coordinators who provide one-on- one assistance to HC&S workers to guide them through the process of finding new employment, training, or education and gain access to government assistance programs. The A Hui Hou steering committee continues to raise funds by selling commemorative t-shirts, hats, magnets and stickers. These items are currently available at Maui Thing located at 7 N. Market St. Wailuku, or can be ordered by calling (808) 249-0215. 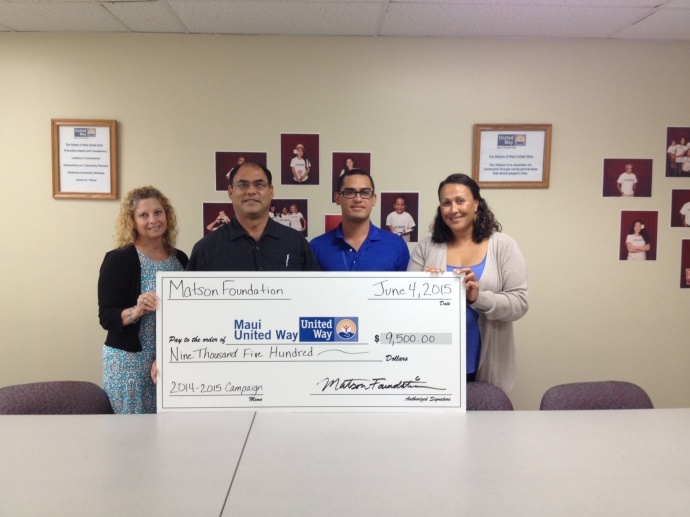 To make a contribution to the A Hui Hou Fund, please visit the following link: www.mauiunitedway.org. 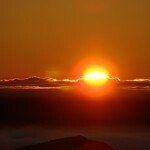 Applications for emergency assistance from the A Hui Hou Fund can be found on the Maui United Way website. You must be a displaced HC&S employee to be eligible. For more information, please contact Makana Rosete at (808) 244-8787. 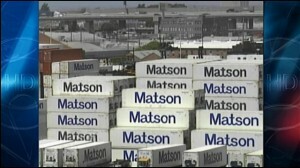 Matson Foundation is the community giving arm of Matson Navigation Company, which has served Hawaii since 1882.